2개의 돌을 이어서 조각한 석불로 충청남도 예산군 수암산 중턱에 위치하고 있다. 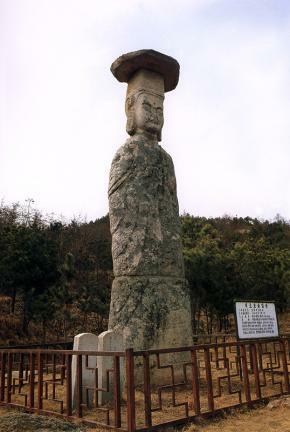 머리에는 두건같은 관(冠)을 쓰고 있고, 그 위에 6각으로 된 갓 모양의 넙적한 돌을 올려 놓았다. 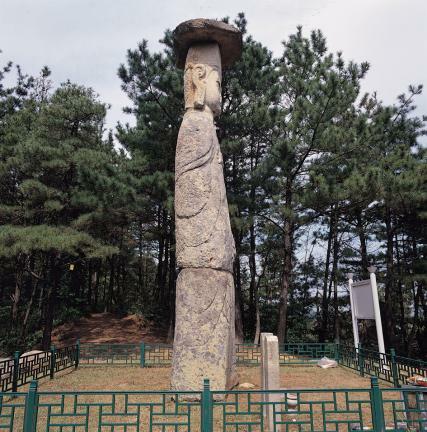 어깨의 윤곽은 아래로 내려가면서 조금씩 넓어지지만 양감이 전혀없이 밋밋하여 마치 돌기둥 같다. 왼손은 몸에 붙인채 아래로 내리고 있고, 오른손은 가슴까지 올려 돌지팡이같은 것을 잡고 있는데 양 발 사이까지 길게 내려오고 있다. 거구이면서 불륨없는 돌기둥 형태, 간략한 신체표현 방법 등이 논산 관촉사 석조미륵보살입상(보물 제218호), 부여 대조사 석조미륵보살입상(보물 제217호)과 유사한 양식을 가진 지방적인 특징이 보이는 고려시대 작품이다. 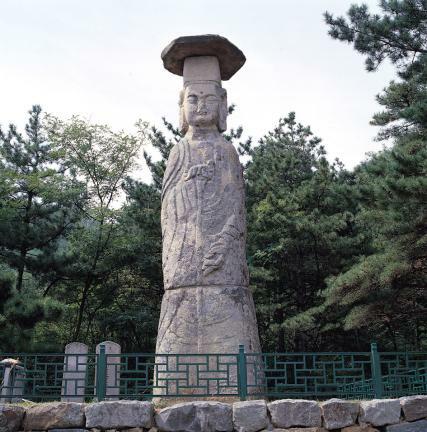 This stone standing Bodhisattva constructed from two blocks of stone is located halfway up Suamsan Mountain in Yesan, Chungcheongnam-do. 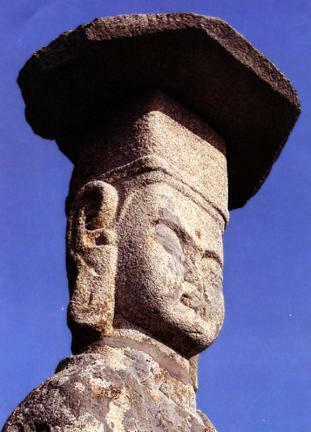 The statue is wearing a hood-like crown on the head, with a hexagonal stone plate placed on the crown shaped like a gat, a traditional Korean hat. 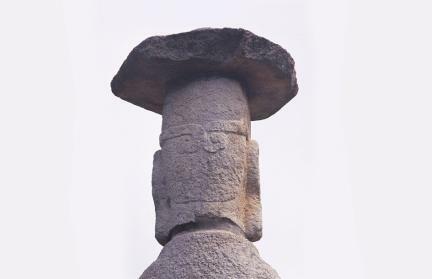 Although the downward contour of the shoulders gradually becomes wider, the body of the statue generally looks like a stone pillar without a sense of volume. 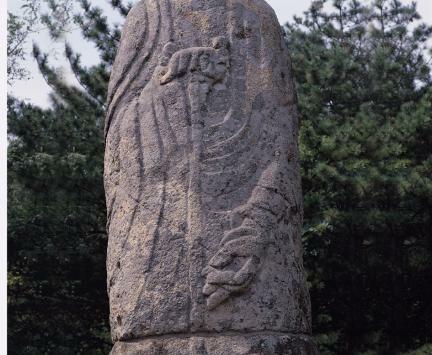 The left hand stretches downward close to the body, while the right hand is raised up to the chest and holds a stone cane which extends down to between the feet. 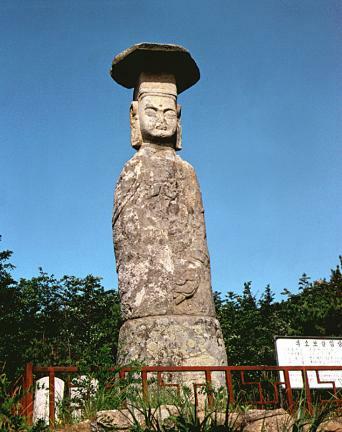 Judging from the pillar shape of the large body, and the simple depiction of the body, this Bodhisattva, which was built during the Goryeo Dynasty, has regional characteristics similar to those of the Stone Standing Maitreya Bodhisattva of Daejosa Temple, Buyeo (Treasure No. 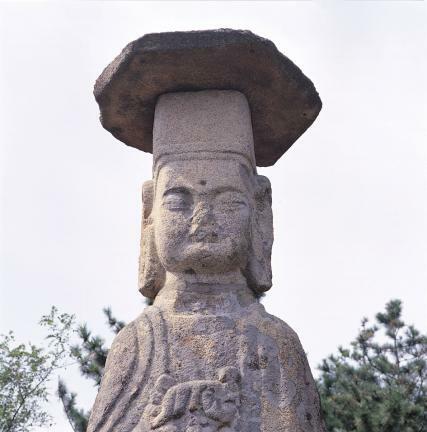 217) and the Stone Standing Maitreya Bodhisattva of Gwanchoksa Temple, Nonsan (Treasure No. 218).